THE BRITS' FAMOUS subway signs kept popping into my mind this week as I undertook yet another scanning project for the Mount's 85th anniversary celebrations in October. Debbie Ream, the director of our Public Relations department, sent me a list of several dozen historic milestones for which she needed pictures. This request was easily fulfilled from our archives of exquisite black and white photographs (1925 through about 1990), somewhat more difficult to fulfill out of the color snapshots (circa 1990-2000) and virtually impossible after 2000. In fact, I found only one physical copy (a pretty good 4 by 6 snapshot) from 2003 of President Jacqueline Powers Doud receiving an award. I'm the Mount's Lone Arranger by day, but by night I teach library preservation online for the San Jose State School of Library and Information Science. And Topic A-1 in library preservation these days is how we keep digital objects, especially those ubiquitous JPEGs pouring out of everyone's digital cameras that end up in Flickr, Facebook, websites and emails -- but never in the archives. They're everywhere, and nowhere. Since I teach this, it's no surprise to me that we have no photography to speak of after 2000 in the College Archives. But I wonder what others expect. But it's not an archival one. But it's hard to find stuff, and it can't be easily shared, nor can it be preserved. One of the things Debbie and I hope to do in the next few months is to try to get going on some kind of low-end, shared digital space where we can experiment with storing and cataloging our some of our born-digital photos. It won't be a perfect solution -- bigger institutions than the Mount struggle with this -- but it'll help. When the Mount celebrates its 150th, someone may want pictures from the early 21st Century. 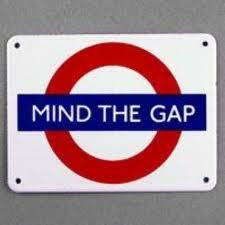 We need to be minding the gap.